Yamaha has dipped a tentative toe into the custom waters: it’s commissioned three top builders to work their magic on the venerable V-Max ‘power cruiser’. 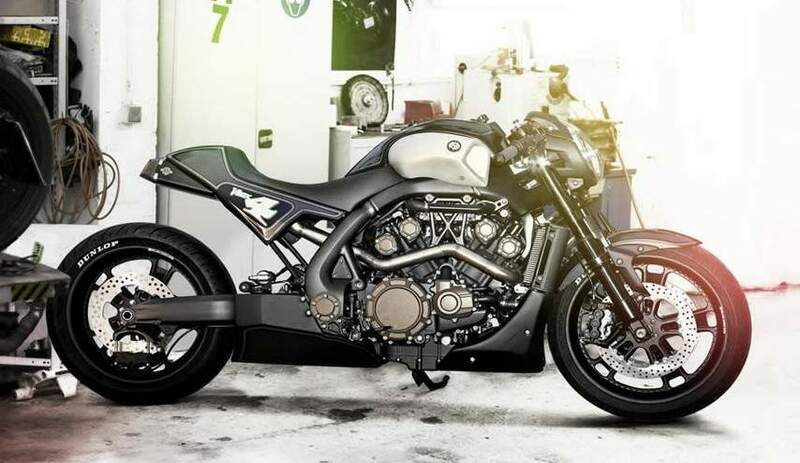 The V-Max has been around since 1985, so it’s due for a fillip—and that’s exactly what Roland Sands (USA), Marcus Walz (Germany) and Ludovic Lazareth (France) have provided. Although Yamaha has called the initiative “Hyper Modified”, the mods are relatively mild. I’m guessing the builders were told not to stray too far from the essence of the original. Sands went for a more streamlined VMax with clip-on handlebars and a more aggressive riding position. Walz kept many of the VMax’s key styling cues crafted a number of carbon fiber components. Lazareth’s creation had a more industrial edge to it, swapping the stock air intakes and exhaust for a more rectangular look with harder edges.